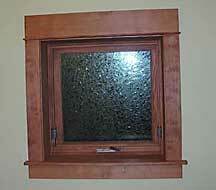 December 23, 2007 - We have begun installing the interior window trim. We are using a mahogany vegetable oil stain called "Osmo One Coat HS Plus." 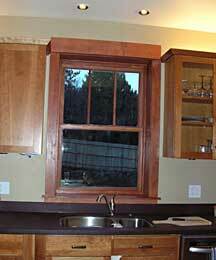 Here is a bathroom window and kitchen window.